Salt and pepper are the most frequently used herbs in the western cuisine. Why would you hide them in the kitchen cupboard? 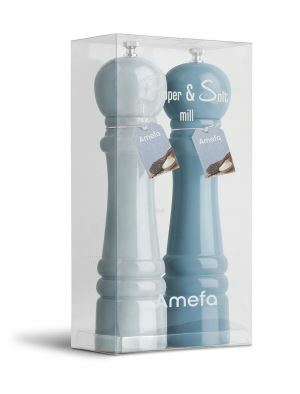 These stylish mills are real eye-catchers, thus they can be beautifully put on the countertop or the dinner table. 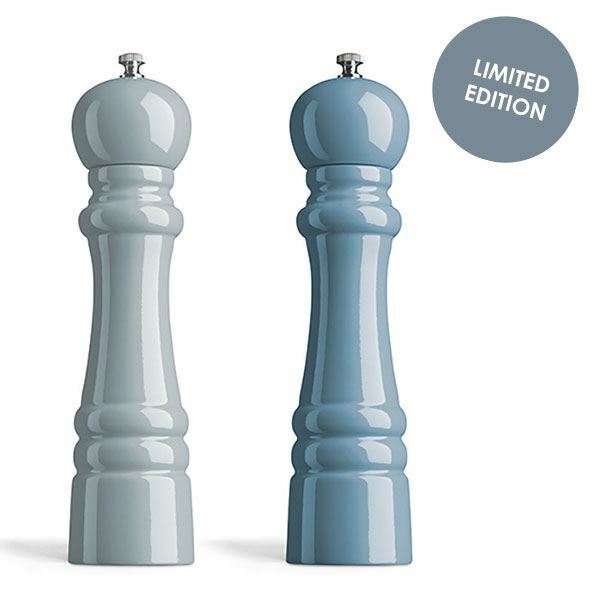 Give your dinner table the "Denim Blues" touch and offer your guests a pinch of pepper and salt in style. These elegant mills are made of strong rubber wood and have a mirror finish. Due to their strong ceramic grinders, they will last a lifetime! The mills are 26cm high.